Pandora has established a partnership with independent rights group Merlin that marks the Internet radio company's first direct deal with record labels. Rather than pay statutory rates set by the Copyright Royalty Board, Pandora will pay rates negotiated with Merlin. In addition, the deal opens a line of communication between Pandora and labels that will help introduce Merlin's music to listeners. The U.S.-only deal will provide more than 20,000 labels and distributors with greater access to Pandora data and listeners. In an interview with Billboard, Merlin CEO Charles Caldas calls the deal "a huge opportunity to provide our members previously unavailable and unparalleled access" to Pandora's 77 million monthly users. Caldas added the partnership will financially benefit Merlin's artists and labels. Although no financial details were made available, he suggested the terms are no worse than the statutory rates previously received. "We wouldn't do any deal where there was any risk we were going to get paid less." Pandora will continue to pay artists' royalties through SoundExchange even though the direct deal will operate outside the statutory licensing framework. 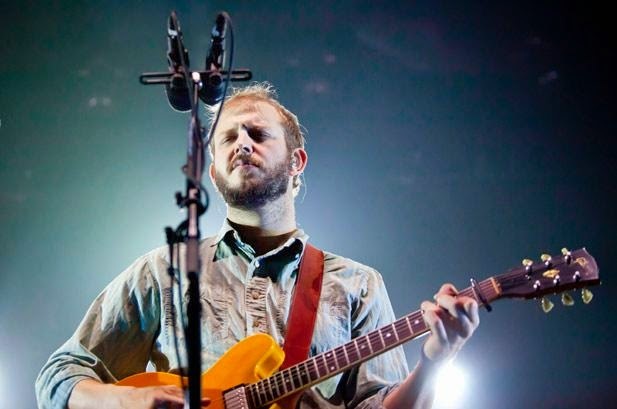 As a result, artists such as The National, Armin van Buuren and Bon Iver will continue to have visibility into royalties generated from Pandora through their quarterly statements. Although music streaming services have a preternatural incentive to reduce royalty costs, Pandora CEO Brian McAndrews said money wasn't the company's main motivation for pursuing the partnership. "We don't expect the deal to have a major impact on costs," he says. Royalties are Pandora's single largest expense, accounting for $111 million, or 50.9 percent of revenue, in the first six months of year. Instead, McAndrews believes better relationships with Merlin's artists and labels will help create a better listening experience. "We see artists as a critical component in our world and we see listeners as important players in our world," says McAndrews. "If we can enhance the experience for both that's a positive." The chance for better perception within the music industry could have also spurred Pandora to seek the partnership. Two years ago, the company wasvilified by some artists for its support of legislation that would have reduced per-stream statutory royalties. Now, Pandora has directly negotiated royalty terms and has opened a new communication channel with artist and labels that represent about 10 percent of the U.S. music market. The non-financial aspects of the deal should also provide value to both parties. First, Pandora will tap into the expertise of Merlin artists and labels to improve its ability to pick songs for listeners. That doesn't mean Pandora's Music Genome Project will be superseded by Merlin's input, says McAndrews. "No song is going to show up on Pandora that wouldn't have shown up anyway. It just might show up sooner and, if they like it, more frequently." He also says the recent hire of former Columbia exec Lars Murray as VP of Industry Relations will help create the conduit between Pandora and labels. Another benefit to Merlin is data. Merlin artists and labels will have access to metadata and insights related to the listening activity of Pandora users. Such data could be used to help route a tour through certain markets and understand the attitudes of listeners about songs. Merlin artists will also be given the ability to directly engage their fans on the Pandora platform. Pandora is not yet releasing details on this aspect of the partnership. However, there is a precedent here: Pandora Presents, a concert series that uses listener data to generate invitations. In other words, listening data helps connect artists with their biggest fans in a given market.